DENVER - April 15, 2019 - PRLog -- Home shoppers may now visit Lennar's Generations at Stapleton community to tour a brand-new model home showcasing their wildly popular Next Gen® - The Home Within A Home® design. With multigenerational living on the rise, The Legacy model home features a main home plus an attached private suite that's ideal for elderly parents, long-term guests or using as home office or art studio. Stop by this gorgeous community and experience this unique design—all set within an amenity-rich and desirable neighborhood in Denver. "Our Generations Collection at Stapleton exclusively offers our innovative Next Gen® designs featuring exceptional dual living suites that are designed to provide additional living space without compromising square footage to the main home," said Carrie Castilian, Director of Marketing for Lennar Colorado. "This design provides the perfect combination of closeness and privacy, so families can share their home with loved ones without sacrificing comfort, style or anyone's privacy." Starting in the low $700s, The Legacy floorplan offers approximately 3,171 square feet including five bedrooms, four and one-half bathrooms and a three-car garage. The main home features a large study, covered deck, open living area encompassing the Great Room, dining room and kitchen, as well as three spacious secondary bedrooms for the kids and master suite with spa-inspired bathroom. The private Next Gen® suite is seamlessly connected to the main home through a dual access door, which allows for as much interaction between the two spaces. The suite has everything one would need to live comfortably and privately: a separate entrance, living area with kitchenette, bedroom with walk-in closet and bathroom. It's like having two homes under one roof and the ultimate solution for extended families and multigenerational living. 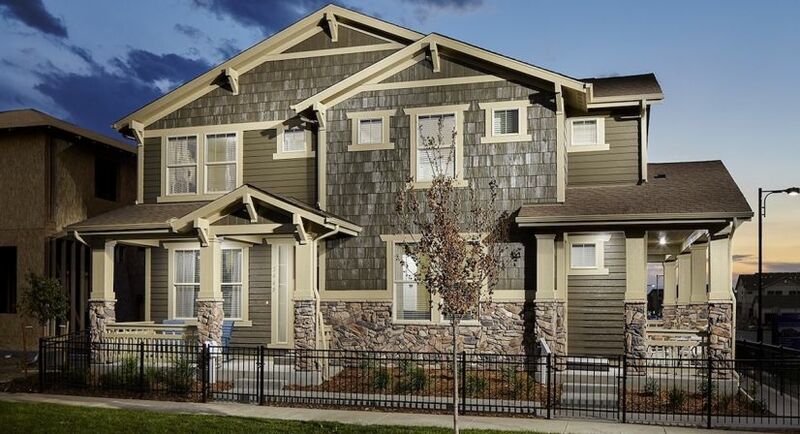 Generations at Stapleton (https://www.lennar.com/new-homes/colorado/denver/denver/s...) offers three, two-story designs ranging in size from approximately 2,928 to 3,171 square feet. In addition, all homes come equipped with Lennar's impeccable Everything's Included® package which boasts many high-end, luxury features included at no extra cost. Beautiful maple cabinets, crown molding, GE® stainless steel appliances, air conditioning, full unfinished basements and granite countertops with full backsplashes are just some of the features included. Homebuyers do not have to compromise on the features they love when buying a new home with Lennar. Life at Stapleton is special. North of I-70, Stapleton's newest neighborhood Willow Park East features modern athletics and an organic vibe. New parks, sweeping green spaces and new schools are sprinkled throughout the neighborhood with nearby retail and entertainment. Experience Stapleton's intimate town center with specialty shops, quaint boutiques and seasonal farmers market. For those who like to buy in bulk, major grocery stores are set with in the community. Spend your free time getting lost in a good book at the Stapleton library or at one of the many community events in the neighborhood. To tour the new model and learn more about the community, stop by the Welcome Home Center located at 5668 Dallas St in Denver, Colo. 80238. For more information, visit www.Lennar.com/Colorado or call 303-569-4142.